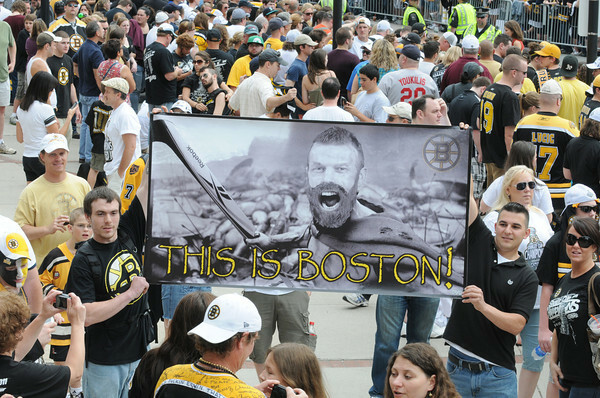 Boston: Eric Ryals and Chris Fortunato of Chelmsford, Mass hold up a 4x6 foot poster featuring Goalie Tim Thomas as Spartaus at the Bruins Victory parade held Saturday in Boston. Desi Smith/Gloucester Daily Times. June 18,2011.